According to The Centers for Disease Control (CDC), a total of nine outbreaks (defined as 3 or more linked cases) have been reported so far in 2018. Recent media reports misinterpreted data issued by CDC surveillance teams stating a multi-state measles outbreak in the United States. Even though there is NO current multi-state measles outbreak in the United States, the measles is still common in many parts of the world. The number of reported cases in the U.S. in 2018 is similar to recent years and in expected range. For parents who haven’t gotten their kids vaccinated, here’s a wakeup call: Most of the people infected were never vaccinated against the disease. In 2014, cases reached a record high: 23 outbreaks and 644 cases. According to the CDC, measles was eliminated from the United States in 2000, largely thanks to the MMR (measles, mumps, rubella) vaccine. However, with increased travel to places where the vaccine is not available -- and more parents opting not to vaccinate their kids -- the number of cases is on the rise. The MMR vaccine is given in two shots, the first around the age of 12 to 15 months, the second around 4 or 5 years old. 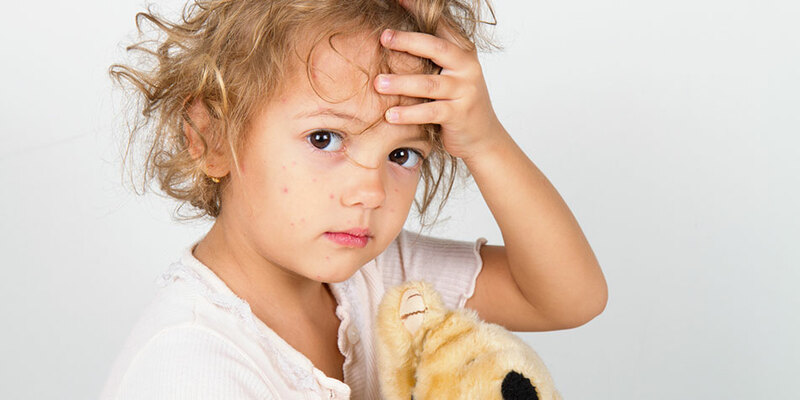 Measles can also cause ear infections, bronchitis and pneumonia. However, the most serious complication is encephalitis, which can be life-threatening. There is no way to cure measles once someone is infected. “The only treatment centers around trying to lessen the severity of the disease and making your child as comfortable as possible,” says the Honor Society of Nursing (STTI). STTI recommends using a humidifier to ease sore throat and coughing and giving acetaminophen or ibuprofen for fever. It’s hard to imagine that any American could die from measles in 2018, but anyone who has not been vaccinated is at risk. The good news: The way to stop more outbreaks is just a shot or two away. Make sure you and your family are protected with MMR vaccine. * The states that have reported cases to CDC are Arkansas, California, Connecticut, Florida, Illinois, Indiana, Kansas, Louisiana, Maryland, Michigan, Minnesota, Missouri, Nevada, New Jersey, New York, North Carolina, Oklahoma, Oregon, Pennsylvania, Tennessee, Texas, and Washington.